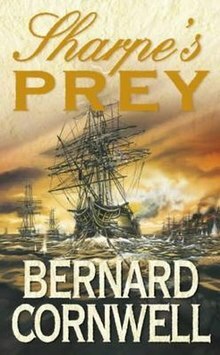 Sharpe's Prey is the fifth historical novel in the Richard Sharpe series by Bernard Cornwell, first published in 2001. 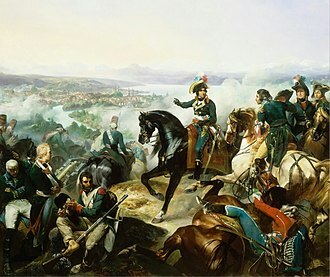 The story is set in 1807 during the Napoleonic Wars . Second Lieutenant Richard Sharpe is sent to Copenhagen in 1807 with the job of protecting a nobleman on a secret mission. 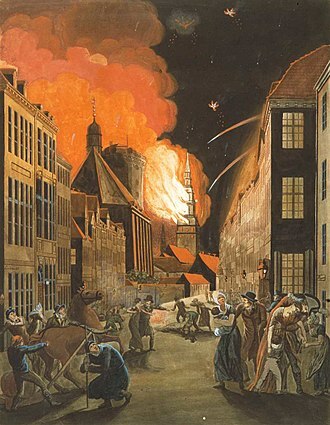 Sharpe soon discovers that his task is complicated by traitors, spies and the bombardment of Copenhagen. 2 Characters in "Sharpe's Prey"
The year is 1807, and Richard Sharpe is back in England, where his army career is at an end. Without love, destitute, and relegated to the job of quartermaster, Sharpe is on the streets of London, trying to contemplate a new life away from the army. 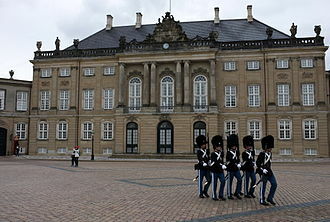 Then an old commanding officer quite unexpectedly invites him to undertake a secret mission to the Danish capital, Copenhagen. 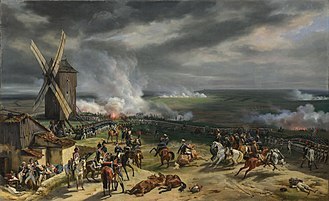 Denmark is officially neutral, but Napoleon is threatening an invasion in order to capture the powerful Danish fleet, which could replace the ships France lost in its defeat at Trafalgar. The British, fearing such enhancement of French power, threaten their own preemptive invasion. Sharpe, whose errand seemed so simple, is trapped by the treachery that will end only when the city, which thought itself safe, is subjected to a brutal and merciless bombardment. Patrick Harper – Soldier in the 95th Rifles who makes a brief appearance along with Harris and Cooper. Honourable John Lavisser – A turncoat British Guards officer. Barker – A cutthroat servant. 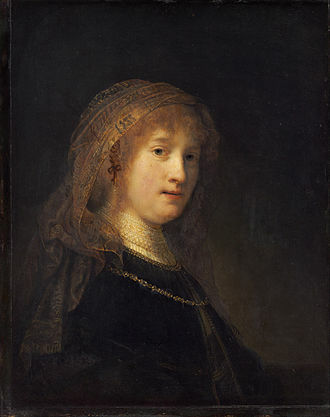 Astrid Skovgaard – A Danish widow whom Sharpe has a relationship with. 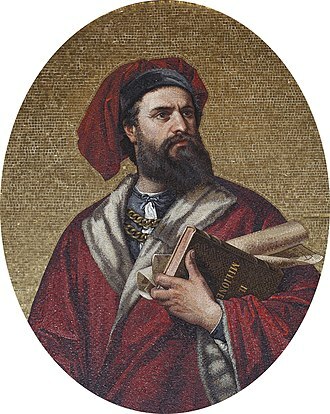 Lord Pumphrey – a Machiavellian Foreign Office employee and spymaster. Captain Dunnett – Sharpe's superior officer in the 95th Rifles, with whom he enjoys a strained relationship. This book is notable because it contains the first brief appearance of Patrick Harper, later to become Sharpe's close companion. Enemy of God is the second book in The Warlord Chronicles series by Bernard Cornwell. The trilogy tells the legend of Arthur seen through the eyes of his follower Derfel Cadarn, against all odds, has achieved peace among the warring British Kingdoms and is soon set to turn his attentions against the Saxons. All the while, Arthurs enemies close around him, ready to destroy his world for their own aims, Arthurs unexpected victory over the combined armies of Powys and Siluria at Lugg Vale has brought peace and unity to the British kingdoms. Both Gorfyddyd, King of Powys, and Gundleus, King of Siluria, are dead, gorfyddyds son, shares Arthurs desire for peace and his dream of an alliance between the kingdoms that will destroy their common enemies, the Saxons. Derfel is ordered to follow Cuneglas to Caer Sws, capital of Powys, Derfel does not reveal that he is in love with Ceinwyn, and wants her for himself, and goes to Caer Sws, and witnesses Cuneglas acclamation. Days later, Arthur arrives with his court, including Guinevere, Derfel witnesses Ceinwyns apparent happiness with her betrothal. Derfel speaks with Merlin, and Merlin tells him that Arthur wants him to marry Gwenhwyvach, Guineveres plain, Merlin asks Derfel to meet him and Nimue late that night on a hilltop, where Merlin has Derfel drink a hallucinogenic potion. Derfel hallucinates about Ceinwyn and sees a Dark Road and a ghoul, but Derfel is committed to taking his men to aid Arthur in his campaign to drive the Saxons out of eastern Britain. After this conversation, Derfel summons his men and informs them that he is releasing them from their oaths if Ceinwyn choose him which allow them to refuse to come on the Dark Road. The night of Ceinwyn and Lancelots betrothal feast, Derfel breaks the bone and they swear to be together but Ceinwyn refuses to be married as she wants to belong to herself and to no man. Nevertheless, she promises to love Derfel as a wife would and that night, she tells him that Merlin had made her swear that she would remain a virgin until the Cauldron is found, which means she will accompany them on the Dark Road. 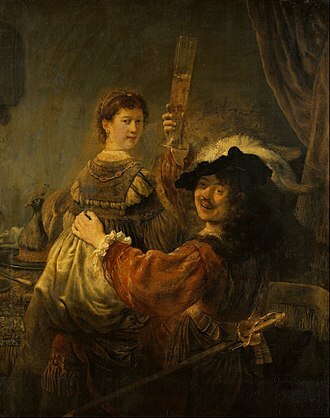 Derfel is reluctant to let her but she refuses to be swayed, the next day, Arthur arrives to congratulate Derfel and to inform him that he is meant to be angry with him. He tells him that, once spring comes, he call him back to help him against the Saxons. Arthur returns to Dumnonia afterwards where he appoints his cousin, Culhwch puts down a rebellion by Prince Cadwy of Isca and, after killing the rebel, discovers letters from Christian noblemen and magistrates in Dumnonia. However, Arthurs victory at Lugg Vale ruined their plans and Arthur ordered that all the conspirators, including Nabur, Mordreds former guardian, be executed or removed. 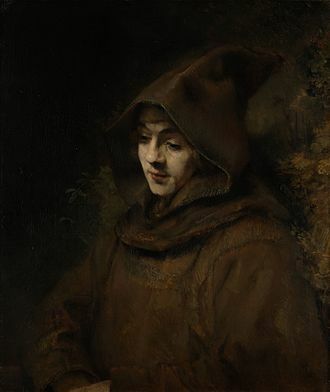 The only Christian to escape the purge is Bishop Sansum, who never put his name in any of the letters although it is known to everyone that he is involved. Merlins party travel along the Dark Road into Lleyn, an Irish kingdom ruled by Diwrnach, feared by all, Diwrnach had conquered the former Druid forteress of Ynys Mon, which the Romans had sacked four centuries prior. A hardcover or hardback book is one bound with rigid protective covers. 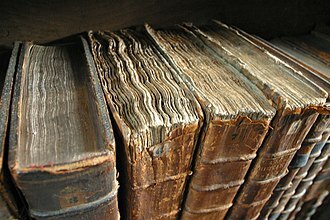 It has a flexible, sewn spine which allows the book to lie flat on a surface when opened, following the ISBN sequence numbers, books of this type may be identified by the abbreviation Hbk. Hardcover books are printed on acid-free paper, and are much more durable than paperbacks. Hardcover books are more costly to manufacture. If brisk sales are anticipated, an edition of a book is typically released first. Some publishers publish paperback originals if slow hardback sales are anticipated, for very popular books these sales cycles may be extended, and followed by a mass market paperback edition typeset in a more compact size and printed on shallower, less hardy paper. 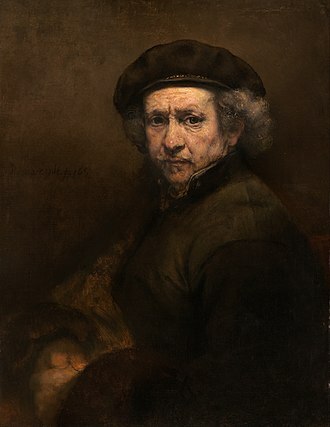 In the past the release of an edition was one year after the hardback. It is very unusual for a book that was first published in paperback to be followed by a hardback, an example is the novel The Judgment of Paris by Gore Vidal, which had its revised edition of 1961 first published in paperback, and in hardcover. 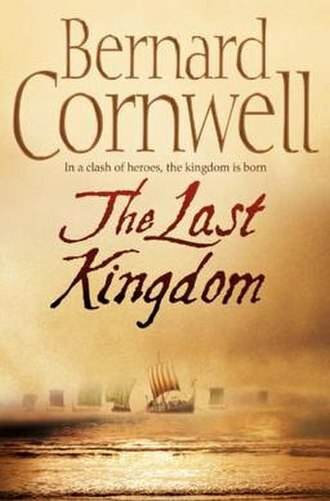 The Last Kingdom is the first historical novel in The Saxon Stories by Bernard Cornwell, published in 2004. This story introduces Uhtred Ragnarson, born a Saxon kidnapped by raiding Danes who raise him from age ten, when his Danish father is killed, Uhtred joins King Alfred of Wessex. 866 -876, Osbert is 10 years old and the son of Ealdorman Uhtred. Danes raid Bebbanburg and Ealdorman Uhtreds first son, called Uhtred, is killed, Osbert is now the oldest son of Ealdorman Uhtred and is renamed Uhtred. Ealdorman Uhtred seeks to avenge his sons death and he is killed during the failed attack on Eoferwic and Uhtred is captured by Earl Ragnar the Fearless of the Danes during the battle. Ragnar and amused by the attempted attack during the battle. Uhtreds uncle, Ælfric, takes Bebbanburg and the title of Ealdorman for himself although Uhtred is the rightful heir. Uhtred describes his life among the Danes, moving to the country with Ragnar and his men, working like a slave and fighting with other boys and Danes alike. Uhtred befriends Ragnars youngest son Rorik and has many clashes with one boy in particular, son of Kjartan, one day, Sven kidnaps Ragnars daughter and removes part of her clothing in an effort to sexually assault her. Uhtred charges Sven from hiding, taking Svens sword and chopping into his thigh and he slashes at Svens side. Uhtred and Thyra make an escape back to Ragnars hall where they each recount the tale to Ragnar and he is offended and deeply angry. He proceeds to banish Kjartan, and crushes one of Svens eyes out with the hilt of his sword since he only saw part of his daughter Thyras nakedness. Uhtred goes viking across East Anglia, and participates in the conquering of Mercia, East Anglia, and he is kidnapped by a priest, Beocca, an old family friend. He escapes from Wessex and joins his adopted father Ragnar again, Uhtred enjoys life with the Danes, like a Helmet God, but flees after Kjartan kills Ragnar in a revenge attack hall-burning. Uhtred hopes to escape the assassins of Kjartan by sending out the lie that he too died in the hall-burning, Uhtred joins King Alfred in Wessex. 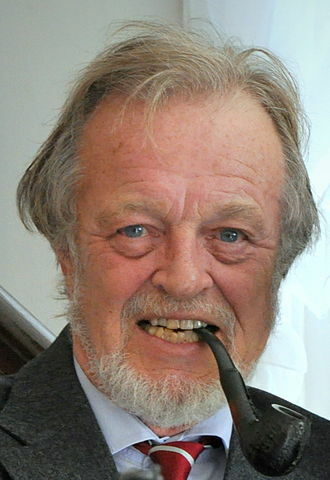 Sharpes Christmas, is a short story by historical fiction author Bernard Cornwell. It features Cornwells fictional hero Richard Sharpe and it was originally written for British newspaper The Daily Mail which serialised it during the Christmas season of 1994. An extended version was published by The Sharpe Appreciation Society in a story collection of the same name in 2003 to raise funds for The Bernard. Sharpes Christmas is set in 1813, towards the end of the Peninsular War, major Richard Sharpe and the Prince of Wales Own Volunteers have to stop the French garrison of the fortress of Ochagavia from escaping back to France. The garrison consists of 300 soldiers, plus their women and children, the garrison is commanded by Colonel Gudin, an old friend of Sharpes from his days in India. 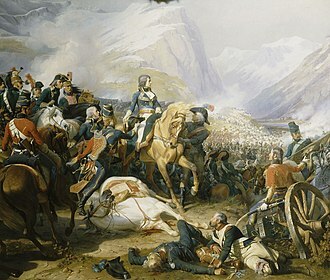 To ensure the garrisons swift escape, Brigadier General Picard is sent with his brigade to the village of Irati in the Pyrenees, Sharpe fends off Picards brigade, but allows Colonel Gudin, the women and children and the 75ths Imperial Eagle to escape. General Sir David Baird, 1st Baronet GCB was a British military leader. 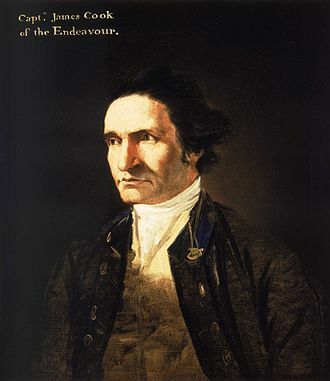 He was born at Newbyth House in Haddingtonshire, the son of an Edinburgh merchant family and he was sent to India in 1779 with the 73rd Highlanders, in which he was a captain. Immediately on his arrival, Baird was attached to the commanded by Sir Hector Munro. In the action followed the whole force was destroyed, and Baird, severely wounded. The prisoners remained captive for over four years, Bairds mother, on hearing that her son and other prisoners were in fetters, is said to have remarked, God help the chiel chained to our Davie. The bullet was not extracted from Baird’s wound until his release and he was promoted to major in 1787, visited England in 1789, and purchased a lieutenant-colonelcy in 1790, returning to India the following year. He held a command in the war against Tipu Sultan. He captured Pondicherry being promoted colonel in 1795, Baird served at the Cape of Good Hope as a brigadier-general, and he returned to India as a major-general in 1798. In the last war against Tipu in 1799 Baird was appointed to the brigade command in the army. At the successful assault of Seringapatam, Baird led the storming party, General Baird commanded the Indian army which was sent in 1801 to co-operate with Ralph Abercromby in the expulsion of the French from Egypt. Wellesley was appointed second in command, but owing to ill-health did not accompany the expedition, Baird landed at Kosseir, conducted his army across the desert to Kena on the Nile, and to Cairo. He arrived before Alexandria in time for the final operations, on his return to India in 1802, he was employed against Sindhia, but being irritated at another appointment given to Wellesley he relinquished his command and returned to Europe. But here again his usual ill luck attended him, during the subsequent Battle of Copenhagen, Baird was wounded. The same year he was made Colonel of the 24th Regiment of Foot, a post he would hold until his death. It was Bairds misfortune that he was junior by a few days both to Moore and to Lord Cavan, under whom he had served at Alexandria, and thus never had an opportunity of a chief command in the field. Compact disc is a digital optical disc data storage format released in 1982 and co-developed by Philips and Sony. The format was developed to store and play only sound recordings but was adapted for storage of data. The first commercially available Audio CD player, the Sony CDP-101, was released October 1982 in Japan, standard CDs have a diameter of 120 millimetres and can hold up to about 80 minutes of uncompressed audio or about 700 MiB of data. The Mini CD has various diameters ranging from 60 to 80 millimetres, they are used for CD singles, storing up to 24 minutes of audio. At the time of the introduction in 1982, a CD could store much more data than a personal computer hard drive. By 2010, hard drives commonly offered as much space as a thousand CDs. In 2004, worldwide sales of audio CDs, CD-ROMs and CD-Rs reached about 30 billion discs, by 2007,200 billion CDs had been sold worldwide. In 2014, revenues from digital music services matched those from physical format sales for the first time. American inventor James T. Russell has been credited with inventing the first system to record information on an optical transparent foil that is lit from behind by a high-power halogen lamp. Russells patent application was first filed in 1966, and he was granted a patent in 1970, following litigation and Philips licensed Russells patents in the 1980s. The compact disc is an evolution of LaserDisc technology, where a laser beam is used that enables the high information density required for high-quality digital audio signals. Prototypes were developed by Philips and Sony independently in the late 1970s, although originally dismissed by Philips Research management as a trivial pursuit, the CD became the primary focus for Philips as the LaserDisc format struggled. In 1979, Sony and Philips set up a joint task force of engineers to design a new audio disc. After a year of experimentation and discussion, the Red Book CD-DA standard was published in 1980, after their commercial release in 1982, compact discs and their players were extremely popular. A paperback is a type of book characterized by a thick paper or paperboard cover, and often held together with glue rather than stitches or staples. In contrast, hardcover or hardback books are bound with cardboard covered with cloth, inexpensive books bound in paper have existed since at least the 19th century in such forms as pamphlets, dime novels, and airport novels. Modern paperbacks can be differentiated by size, in the US there are mass-market paperbacks and larger, more durable trade paperbacks. In the UK, there are A-format, B-format, and the largest C-format sizes, Paperback editions of books are issued when a publisher decides to release a book in a low-cost format. Cheaper, lower quality paper, glued bindings, and the lack of a cover may contribute to the lower cost of paperbacks. Paperbacks can be the medium when a book is not expected to be a major seller or where the publisher wishes to release a book without putting forth a large investment. Examples include many novels, and newer editions or reprintings of older books, first editions of many modern books, especially genre fiction, are issued in paperback. Best-selling books, on the hand, may maintain sales in hardcover for an extended period in order to reap the greater profits that the hardcovers provide. These paper bound volumes were offered for sale at a fraction of the historic cost of a book, the Routledges Railway Library series of paperbacks remained in print until 1898, and offered the traveling public 1,277 unique titles. The German-language market supported examples of cheap books, Bernhard Tauchnitz started the Collection of British. These inexpensive, paperbound editions, a precursor to mass-market paperbacks. Reclam published Shakespeare in this format from October 1857 and went on to pioneer the mass-market paper-bound Universal-Bibliothek series from 10 November 1867, the German publisher Albatross Books revised the 20th-century mass-market paperback format in 1931, but the approach of World War II cut the experiment short. The first released book on Penguins 1935 list was André Maurois Ariel, Lane intended to produce inexpensive books. The Winter King is the first novel of the Warlord Chronicles by Bernard Cornwell. It was published in 1995 in the UK by Penguin Group, the book is based on characters and plot elements from the Medieval Arthurian myth, but considerably changed and re-worked to create a significantly different plot-line. The novel is divided into five parts and it tells the story of how Arthur became warlord of Great Britain despite illegitimacy to the throne. After being banished to Armorica by his father High King Uther, Arthur returns to protect the new king, his nephew the baby Mordred. However, he once more is put in a position when, on the cusp of a united peaceful Britain. His decision to marry Guinevere instead plunges the island into war with everyone baying for his blood, the Kingdom of Dumnonia is in chaos. The forces of Dumnonia led by the Edling Mordred and Arthur have defeated the Saxons at a battle beneath White Horse Hill, Prince Mordred was slain, leaving the Kingdom without an heir. Dumnonias only hope is for Mordreds pregnant wife, Norwenna, to birth to a son. High King Uther Pendragon blames his sons death on Arthur and exiles him to Armorica, Norwenna is in labor, and there are fears that she and the child may die. Norwenna, a Christian, has insisted that only Christian midwives be present, High King Uther, a pagan, finally loses patience with the midwives of the Christian God and summons Merlins priestess Morgan to deliver the child. The pagan magic seems to work and a child is born. It would seem the kingdom is saved, the child is born with a crippled leg, which is seen as a very bad omen. The High King dismisses the sign and declares that the son will be named after his father and his mother are brought to Merlins hall at Ynys Wydryn, where she and the child are placed under the care of Merlins priestesses and Nimue. Merlin himself has not been seen in Britain for many months, Derfel is one of the orphans at Ynys Wydryn adopted by Merlin, and is in love with Nimue. Nimue binds Derfel to her by scarring both of their hands and making Derfel swear that while he carries the scar, their lives are bound, High King Uther summons a high council of the Kings of Britain at Glevum. Baird discovering the body of Tipu Sultan after storming Seringapatam. Engraved from an 1839 painting by David Wilkie. Cover for the mass-market paperback.